The Model Management project provides the MoM-Core (Model Management Core) as an essential basis for model management. 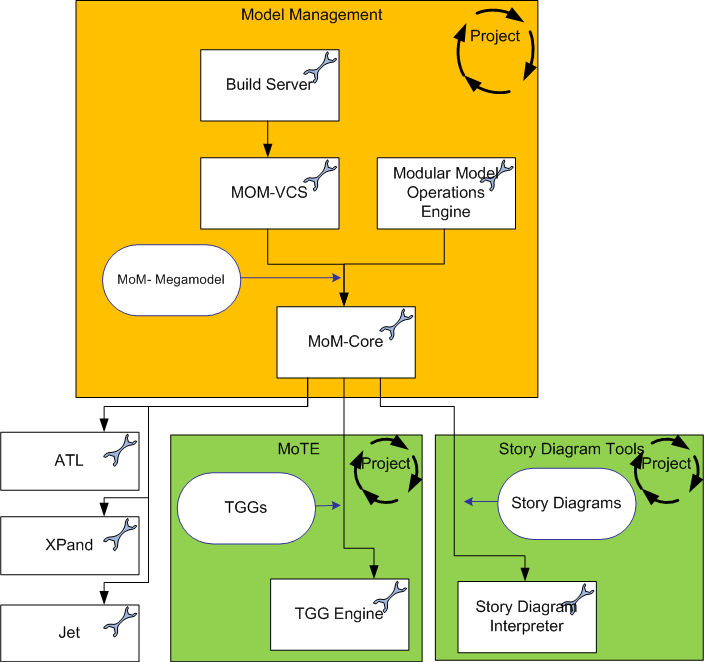 The MoM-Core (Model Management Core) is a framework for monitoring and manipulating artifacts and their relations using MDE-Tools. Monitored information is provided within the MoM model, which is a megamodel containing representations of artifacts and their relations. The dSPACE tool chain for the transformation between SysML and AUTOSAR was used as Case Study for the Modular Model Operation Engine.